From the publisher of the USA TODAY bestselling & #1 Amazon bestselling Timeless Romance Anthology series in Clean & Wholesome Romance, comes A YULETIDE REGENCY. Mary Rose has one goal for her mother’s annual Christmas Eve party: convince her childhood friend Julian Mayes to marry her. She has always admired Julian. Surely one moment under the kissing bough will convince him they were meant to be together. Newly hired by a prestigious London law firm, Julian is ready to shake the dust of the countryside off his polished boots. But he’s always had a soft spot for Mary. As the danger to her future becomes clear, will one kiss be enough to prove to him how far he will go to protect her? Famed matchmaker to the ton, Adelaide Northrup cannot imagine a more perfect way to spend Christmas than answering the desperate call of Mr. Porter Bartrum: widower, young father, dunderhead. The young gentleman’s first marriage was an arranged one and he hasn’t the first idea how to find a wife on his own. His dear friend, Chloe Munson, has watched his attempts with amusement and finds this latest approach, the clandestine hiring of a matchmaker, his most entertaining yet. If Adelaide plays her cards right, and she always does, she might very well manage to secure two happy endings. They weren’t supposed to meet, but now that they have, nothing will ever be the same. The Duke of Salsbury blames her family. Lady Catherine blames his. Will an age-old dispute between the Salsburys and Asters rip apart any hope they have to be together? In this game of secrets and lies, can their love for each other conquer even the most tightly held family prejudices? On Christmas Eve, Eleanor Hadfield, who works as governess at her childhood home of Willowsmeade, is stunned to learn that the love of her youth, Julian Phillips, is coming back after a decade’s absence. Once the gardener’s son, he has elevated his station to navy captain. Making a match with a mere governess would lower his position, if he were to still love her as he did as a young man, which is unlikely. 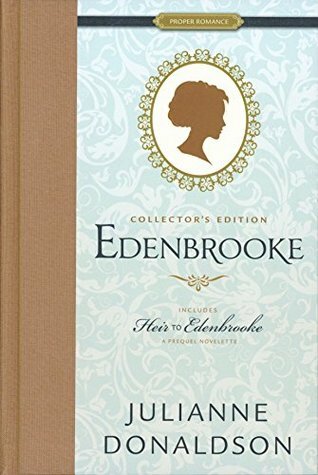 Unable to bear the idea of noble Julian keeping an old promise out of obligation or pity, Eleanor decides to leave the only place that has ever been a home. 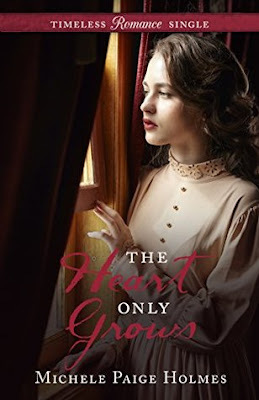 With her beloved home entailed away to a wealthy cousin, spirited Arabelle Hyatt has resigned herself to marry the arrogant man, if only to save her family from destitution. But before an understanding is reached, a childhood friend returns from war, wounded in more ways than one. With Christmas coming—what may be their last at Hybrigge—holiday traditions are celebrated, memories are revisited, and Arabelle learns what lies in a man’s words is not always what lies in his heart. Celia Thompson knows she can’t live with the new earl who’s come to take her brother’s place. Before she can pack her belongings and reconcile herself to a fate of living as a spinster in her aunt’s home, the new earl arrives. Yet, Aaron, now Lord Banfield, is not the pompous, arrogant man she’d imagined. In fact, he’s quite . . . interesting and handsome. Celia decides to help the man acclimate to his new role. But the longer she stays on at Banfield, the more she realizes the new earl might be the answer she’s been looking for. What a great collection of stories!!! I enjoyed them all and had several favorites. 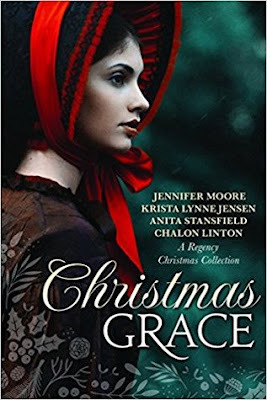 As much as I love Regency romances, I love *Christmas* Regency romances even more! There's something sweet about the traditions that are specific to the era, like the yule log, and the ones that have stood the test of time that we still celebrate today, like mistletoe and Christmas trees. While some of the plots had more drama than the others, for the most part the novellas were pleasant and compelling, and I loved the feeling of connecting to the characters quickly and experiencing the season with them as they overcame personal and societal struggles to achieve a lovely happily-ever-after. A wonderful anthology that is perfect for reading during the busy holiday season! I am so excited for another amazing collection of novellas from six amazing authors!!! 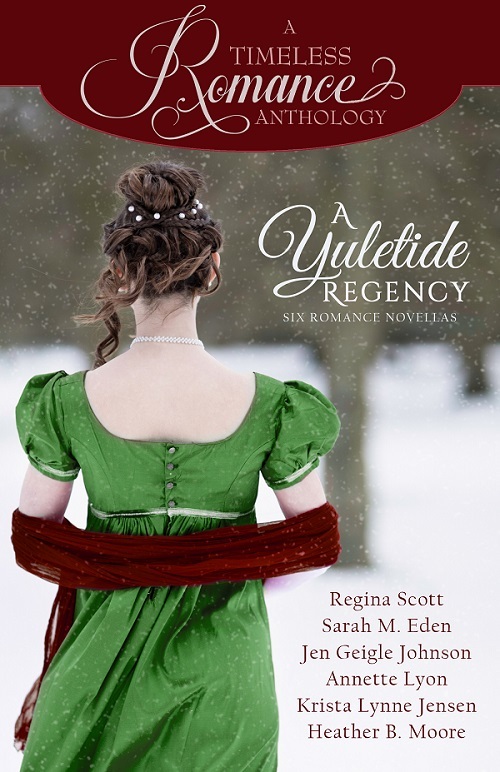 Six brand new Regency romance novellas by Regina Scott, Sarah M. Eden, Jen Geigle Johnson, Annette Lyon, Krista Lynne Jensen, and Heather B. Moore. Love, love, love this series! I read one right after the other and then re-read my favorite parts from all three again when I was done. In all the books, there are deep emotions simmering beneath the surface in the characters, brought to light by the highly dangerous circumstances they find themselves in, resulting in explosive sparks! There is a blend of vulnerability and strength that is appealing. I think we all feel flawed and vulnerable in some way, but want to believe that we will have the strength to not only persevere but succeed when trials come. I kept reliving the stories of all three books in my mind for days afterward. So. Funny. This is the one that made me giggle and think, "Girl, what are you thinking?!" Bethany has a great sense of humor to deal with the mishaps that keep her in the sights of a local policeman. The chemistry is hot in this one! Maurie has a good perspective on life and her dysfunctional childhood, but that doesn't make returning home less painful. Grant was the one light in her youth but he has a confession of his own to make... great tension and backstories to make the characters vulnerable with each other. I haven't read anything by Jenny Proctor before but this definitely won't be the last! I loved the determination of Kayla to stick to her plan of no dating while training for the Olympics, and Nate's equal resolve to not let her get away. They had fantastic chemistry and charming banter. 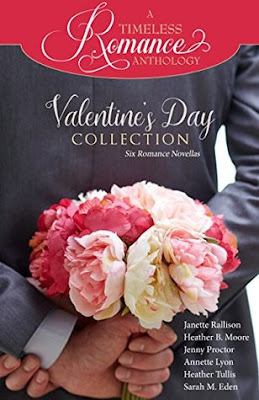 I loved this novella collection! 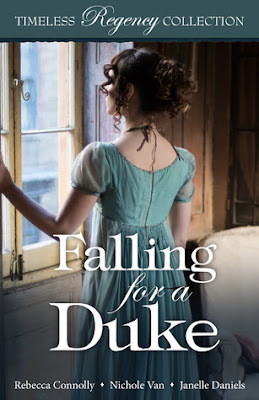 Each story was set in Bath, England during the Regency era, and it was so fun to learn historical details about that location. The first story by Julie Daines was full of drama, intrigue, and emotional turmoil (without being melodramatic). 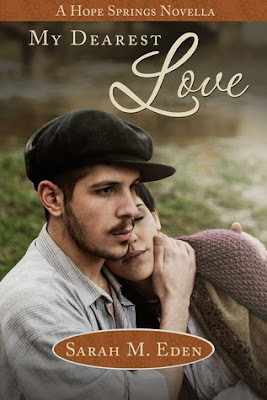 The friendship and affection that develop between the vulnerable Marianne and protective Mr. Northam balances out the darker parts of the story, and I loved how everything wrapped up. The second story by Caroline Warfield was a delight, and since I haven't read anything by this author before I'm looking forward to seeking out her other books. Lucy's sweet and compassionate nature make her a perfect match for the charming Edmund who is looking to turn his life in a direction different from his parents' expectations. The last story by Jaima Fixsen has plenty of kissing as the title implies, and while I liked the characters, their relationship seemed too based on physical attraction. It was still a fun story and finished the collection off nicely. What a sweet love story! I fell in love with the O'Connor family living in the tenements of New York City. Instead of allowing the harsh circumstances pull them apart, their bond keeps them strong and supportive of each other. Ian is a man confident in his skills, yet adorable with his uncertainty and vulnerability when it comes to a certain lass. Biddy is completely alone but her mother's words to keep making the best of things helps motivate her to work hard in the loud factory. This is my favorite kind of romance, where we get to see the two develop a friendship that progresses into love. Ian's brothers Patrick and Tavish have great personalities and I hope we get to read more about them in the future. The ending is bittersweet which brought out more emotion and curiosity about where the family's journey will take them. Such a great collection! Each story captured my interest and held it with interesting characters, unique plots, and great settings. I especially loved the creative way the author incorporated the past with the present in VINGT-ET-UN | TWENTY-ONE. The story starts with Eliza and Liam resenting each other, but as we learn of their former friendship layer by layer and see them come together again in spite of the obstacles, the emotions heighten and I could not stop reading! I KISSED A DUKE was pretty fun and I liked seeing Madeline learn to stand on her own in a demanding and unforgiving society. ON THE DUKE’S ERRAND had an amazing setting in Scotland and it was interesting to learn about the conflicts there and how David did his best to get to know the people and their circumstances. He and Ceana had great chemistry and worked together well with his charm and her fiery personality. 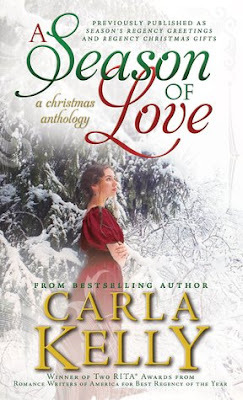 The writing of Carla Kelly is so refreshing, I always look forward to reading a story by her. And this one has five stories! The characters are ones that are easy to like, and I quickly connected with them and their feelings through the various struggles or trials they are enduring. I appreciate that they are strong people with admirable traits, and most of the conflict comes from exterior sources. Overall the stories are sweet, but they still contain the author's trademark grittiness and realistic world view including the lower classes of British society. I also love the wry humor that subtly brings a lighter note to the narrative without diminishing the emotions and deeper themes. 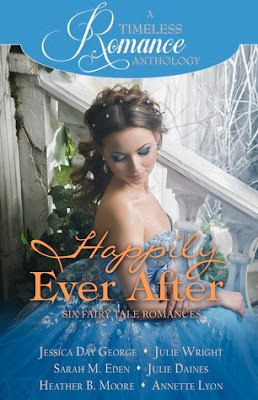 I absolutely love a good fairy tale retelling, and this collection is full of them! Every one of the stories is creative while still being recognizable. The authors did a wonderful job of pulling me into the story quickly and keeping me guessing as to how things would resolve. I thoroughly enjoyed all the stories, but my favorites were The Miller's Daughter (based on Rumpelstiltskin), Black Fern (based on Beauty and the Beast), and Scarlet (based on Little Red Riding Hood). Something about the relationships in those particular stories resonated with me, the settings were easy to envision, and the tension or anticipation was palpable. As much as I adore my well-read paperback version of Edenbrooke and it's lovely cover, this gorgeous hardcover comes with the companion novella Heir to Edenbrooke. Words cannot express how much I adore this book. It's always the first book I recommend! I totally relate to Marianne, her insecurities and strengths, and Phillip is the perfect hero in my mind. The romantic tension is Off. The. Hook. I literally can't count how many times I've read it (especially my favorite parts). Do you enjoy reading novellas?